Wentworth Advantage is a leading Australian HR company that protects businesses from employment law risk & harnesses the power & performance of their people. With roots dating to 1991, Wentworth Advantage has a highly experienced and diverse team of workplace relations specialists that provide commercial, no-nonsense HR support. Our unique perspective allows us to see the critical intersections between HR risk management and staff performance – the dynamic formula that drives business performance. 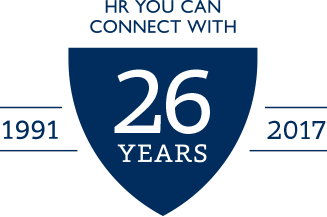 For 25 years, we have been renowned for the quality of our HR advice and the intellectual rigour of our work. We give our clients sensible, commercial HR perspectives on their business and, via our national HR Help Desk, we do it in the most efficient way to achieve the desired results. 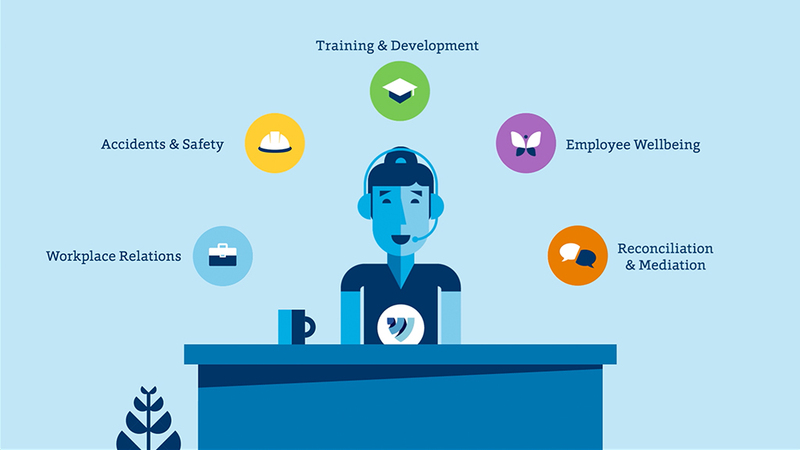 We have created the most extensive HR Help Desk service model in the country, used by over 100,000 organisations and active users Australia-wide. No other outsourced HR firm can match the range of services that have been included and integrated into our 5-element service model. See ‘Services’. We have built the richest and most comprehensive database of HR and workplace information resources in the country, enabling our clients to easily access, tailor and implement their own HR systems and processes. Over 25 years, we've pulled our clients out of HR ‘hot water’ hundreds of thousands of times through the commercial, no-nonsense advice of our national HR Help Desk. No other outsourced HR firm can match the sheer number of calls and the associated depth of experience that comes with doing this for 25 years. Via our Consulting+ services, we transform HR theory into actionable insights. No other outsourced HR firm can match our breadth and depth of HR & IR know-how. This enables clients to be confident that our advice is correct and our recommendations will work. See ‘Services’ to find out more. After qualifying as a Chartered Accountant, Mark moved into human resources (HR) over 25 years ago. In 1992, Mark completed his Master of Commerce degree in Human Resources (UNSW). In 1991, Mark was part of the establishment of the HR Consulting Division at BDO Chartered Accountants and Advisers. In 2002, Mark negotiated a management buyout of the division from BDO, becoming the Managing Director of Wentworth Human Resources. As a result of an expansion in the range of client services and a recent re-branding initiative, he now heads up Wentworth Advantage and runs a team of human resources, industrial relations and work, health and safety specialists who provide quality, innovative solutions to a broad range of clients, in the private, public and not-for-profit sectors. Mark's specialisation is in advising organisations how to build capabilities of leadership, speed, learning, accountability and talent through leveraging human resources. Mark's strategic HR and commercial focus has enabled his clients to maximise their employees' effectiveness by discovering the specific strategic bottom-line impact of better quality people and human capital strategies. David has extensive experience advising on IR and business management issues. Over his 20-year career, David has had a variety of consultancy and management roles, giving him a broad knowledge of State and Federal workplace relations legislation and relevant industrial bodies. David holds a Bachelor’s Degree in Industrial Relations/Personnel Management with a sub-major in Business Law (University of Technology, Sydney) and a Bachelor’s Degree in Accounting. He is a member of the Australian Society of CPAs. Before joining Wentworth Advantage, David worked with the Pharmacy Guild of Australia as the Industrial Relations Officer, and undertook various other special project roles with the Pharmacy Guild National Secretariat. He has worked in a number of industries including the Toyota Motor Corp Australia. Jack heads up our team of Workplace Relations Advisors and has a wealth of experience delivering high quality HR Help Desks in both the public and private sectors. He has a background of study in Psychology and Business with a major in Human Resources, along with several years of experience leading teams and providing HR advice. Prior to joining Wentworth Advantage Jack has built his career in HR working at Lendlease, Ambulance Service of NSW, and the Australian Taxation Office. At Lendlease, being a large global company, Jack provided advice on HR policies and processes across the business in the US, UK, Asia, and Australian regions. He has a strong customer focus and continuously looks for ways to improve on systems and processes. He brings with him a professional and positive approach, and a passion for coaching and mentoring his staff. Wentworth Advantage is proud to have a long-term alliance with Dentons, the world's largest law firm. Wentworth Advantage has worked closely with Dentons Employment & Labour Team Workplace Relations Specialists for many years; based on the level of our synergy and the proven ability of our two businesses to work together. For the past fifteen years, we have worked closely together on the provision of an integrated and almost seamless workplace relations service-combining the very best of our complementary skill sets. Through the Wentworth Advantage/Dentons alliance, our clients can always be assured of getting the very best workplace relations advice and support. Further, Dentons Workplace Relations Specialists and their Employment & Labour Teams have full national coverage-ensuring that our clients' employment law needs are fully covered wherever their business is based.